There have been so so so so so many Robin Hoods over the years and a couple of them are as good as movies get, starting with Errol Flynn, Olivia de Havilland, Basil Rathbone, Claude Rains, and Eugene Pallette as Robin, Marian, Gisbourne, Prince John, and Friar Tuck. Then there’s the Disney animated version with music by Roger Miller, and the parody version from Mel Brooks with Robin played by “The Princess Bride’s” Cary Elwes. 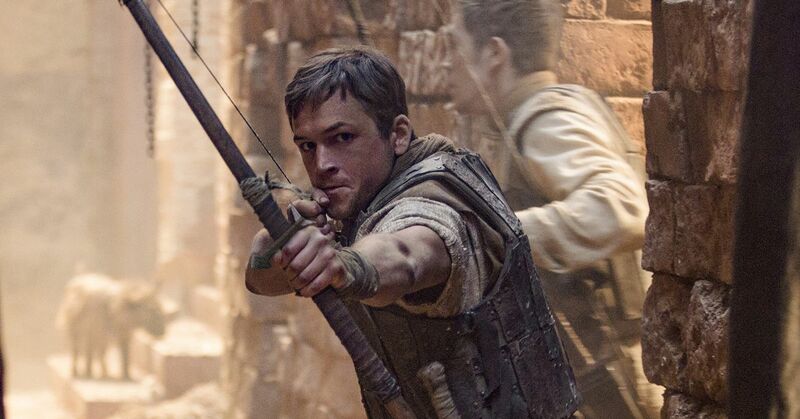 We’ve also had genuinely terrible Robin Hoods, perhaps most regrettably Kevin Costner with a California accent. And now we have the international co-production version, clearly geared to the non-US market, with clunky, exposition-weighted dialogue, a drumbeat-heavy score and action sequences juiced with bullet-time and slo-mo. Can’t we talk about the Errol Flynn version instead? Directed by the guy who did “Casablanaca?” With one of the all-time best movie scores, composed by Erich Wolfgang Korngold? No? Sigh. Well, all right. This time, Robin is played by Welsh actor Taron Egerton, best known for the “Kingsmen” movies and “Eddie the Eagle.” This is not his fault. He is a fine actor and can handle action scenes and love scenes capably. It is also not the fault of Oscar winners Jamie Foxx and F. Murray Abraham, who do their best. Possibly, it is not the fault of Leonardo diCaprio, who shows up in the credits as producer. It is most likely this big, dumb movie is the fault of the big, dumb ways that movies get made these days. The more they cost, the more dumbed-down they have to be to make money overseas, and this one apparently cost a lot. We’re there because the story of the dashing nobleman who stole from the rich to give to the poor and was the world’s greatest archer and hundreds of years later is still a symbol of gallantry and heroism. But this movie begins by telling us to forget everything we think we know about the story and many of its most familiar and beloved elements are missing. No archery contest, no ransom for the king, no plotting Prince John. Which would be fine if what it has instead was of equal interest, but it really isn’t. It’s just a first-person shooter game with live action. In this version, as in most others, Robin of Loxley is a nobleman. As he tells us in the opening narration, his story begins with a thief but it is not him. He discovers a veiled young woman (Eve Hewson as Marian) stealing one of his horses. Moved by her pluck, her generosity (it is for a poor member of the community) and her lovely blue eyes, he allows her to take the horse and soon, well, let Robin tell you himself: “They were young and in love until the cold hand of fate reached out.” See what I mean? Robin is drafted to fight in the Crusades, where the British have arrows and the “infidels” have a sort of gatling gun for arrows. Robin is wounded trying to save the son of the captured “infidel” who tried to kill him. Robin objects to murdering prisoners. 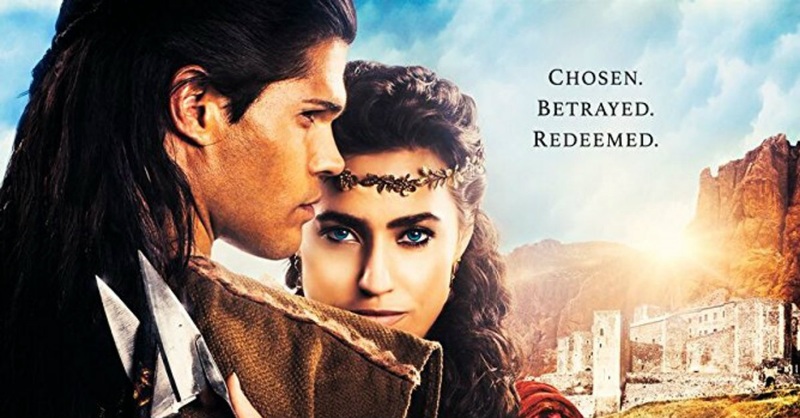 He is sent back to England, where he finds that both his home and Marian are gone. His home has been taken by the Sheriff of Nottingham (Ben Mendelsohn) and Marian, who was told that he had been killed, is now with Will (Jamie Dornan). Furthermore, the man whose son he tried to save stowed away on the boat to devote his life to vengeance. The English version of his name is John, and he wants to help Robin fight the people responsible for his son’s death. Cue the training montage. And the beating drums. It’s too loud, too long, and too dumb. What they’re stealing here is our money, our time, and our goodwill. Parents should know that this film has pervasive near-R peril and violence with battle scenes, arrows, fire, explosions, chases, knives, beheading (offscreen) and many characters injured and killed, and brief strong language, and references to horrific child abuse and torture. Family discussion: Why was Robin different from the other lords? What issues in this movie are still important today? The Biblical story of the Jewish man who still stands as the exemplar of strength has been brought to the screen by Pure Flix, a sober, sincere retelling of the story that is intended for both religious and secular audiences. As Hollywood has recognized several times in the past, including a big-budget studio epic from Cecil B. De Mille, the story has all of the essentials for drama, a hero of extraordinary power who suffered loss and betrayal and ultimately sacrificed himself to defeat the Philistine leaders who were oppressing his people. Samson is played by Taylor James, a British actor who had a small part in the “Justice League” movie. In the beginning of the film he is confident and impetuous. He has pledged a life of piety, which means no drinking and never cutting his hair. In return, he has been gifted with great strength. He is not afraid to fight. But he does not consider that it may not be he who pays the consequences. King Balek (an icy Billy Zane) commands a powerful army and does not hesitate to murder the Jews who object, even in the mildest terms, to his brutal demands. And then Samson falls in love with a Philistine woman. His parents (Lindsay Wagner as Zealphonis and Rutger Hauer as Manoah) know that a marriage would create great risk for the couple and for the Jewish community. But Samson is sure he can make it work. It is a tragic mistake. 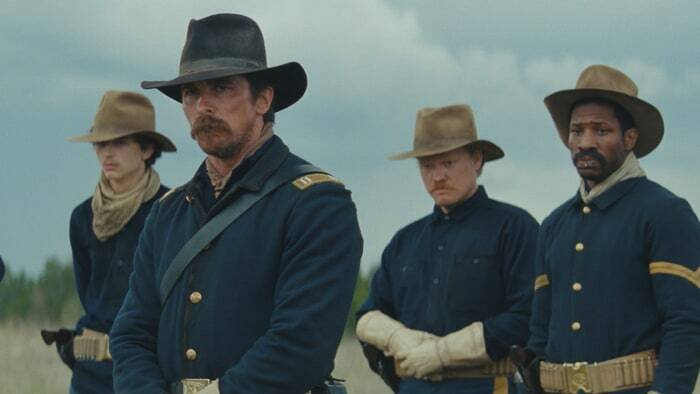 The screenwriters made some good choices in expanding the story, creating parallels between the two fathers, Manoah and Balek, and their sons. Balek is as cruel and demanding with his son, Rallah (Jackson Rathbone, in one of the film’s strongest performances) as he is with the Jews. Rallah’s struggle to find his own way gives more texture to the story. 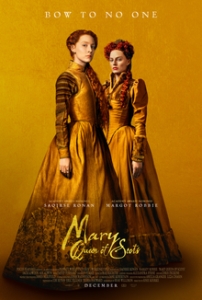 The ambitions of the filmmakers are admirable, but a bit beyond their capacity and it has an amateurish quality that makes this more like the movies you see in Sunday school than the movies you see in theaters. Pure Flix is not Cecil B. De Mille, and director Bruce MacDonald’s staging of the big fight scenes and the literally crashing climax lacks intensity. But it is a respectful and heartfelt portrayal of a story whose power is undimmed over the millennia. Parents should know that this film includes extended violence including murder and battle scenes with many characters injured and killed. Family discussion: How does Samson change over the course of the film? Why does he change? Why does Delilah cut his hair? 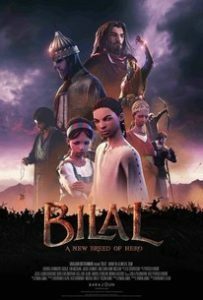 “Bilal: A New Breed of Hero” is the ambitious first animated feature directed by Ayman Jamal and Khurram H. Alavi, from Dubai’s new animation studio. The English language cast includes Adewale Akinnuoye-Agbaje, China Anne McClain, Jacob Latimore and Ian McShane. Bilal, born in 540 AD, was a slave who became one of the most trusted companions of Muhammad, and the first muezzin, using his beautiful voice to call worshippers to prayer. He is also a slave to his fear of Bilal and his knowledge that a society built on injustice cannot last. He beats, starves, and tortures Bilal but the lord of merchants buys his freedom, and makes it possible for him to lead a rebellion. It is a stirring story, respectfully told. The action scenes are intense and well-staged, but the non-action scenes are ponderous and static. Much of the dialogue is the standard sword-and-sandal faux classical (“Great men are those who have the will to choose their own destiny”), but every so often there’s a line like, “Show me what you got, rookie,” that seems like it came from another movie. The Dubai animation rookies are showing us what they’ve got, and it is an auspicious beginning. Parents should know that this film includes extended peril and violence, torture of a child and an adult, sad death of parent, and issues of bigotry, tyranny, and oppression. Family discussion: What would Bilal’s mother see as today’s chains of slavery? Why did the lord of merchants befriend Bilal? What do you want to be when you grow up and why?